I have not gotten nearly as much sewing done these past few weeks, as I'd have liked, but that's usually how it goes. I have a bunch of projects started and I'm trying to use up fabric from my stash as much as possible. All the finished projects in this bunch are made with fabrics that have been laying around in my piles for at least a year, some two or more years! So, it feels good to finally put it to use. I finished three more pleated zipper pouches. I have a ton of nine inch zippers and plenty of fabric and interfacing, so this is a good quick stash buster. I also finished this grocery bag. 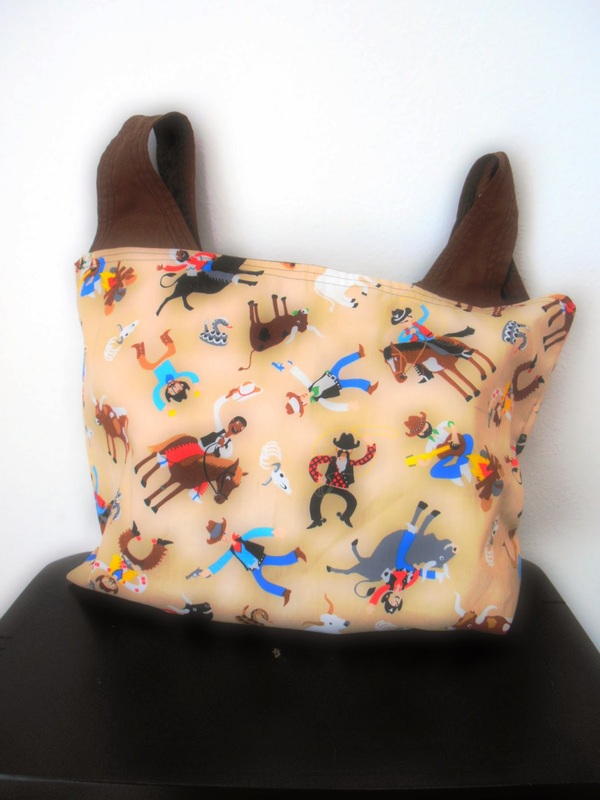 I had bought this cowboy fabric with a bag specifically in mind, but it took me a while to actually get around to making it. The lining is a solid brown. I thought it'd be nice to have something less girlie in my Etsy shop. I've got more ideas in the works too. 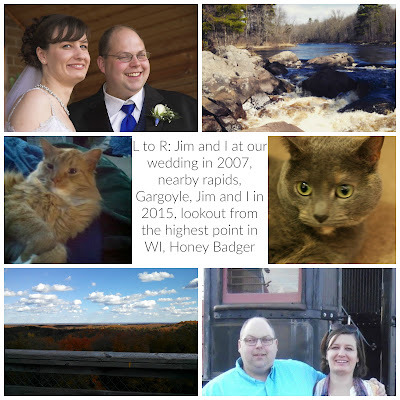 I'm hoping to have a big relaunch in the next month or two. Hope you all are finding plenty of time to feed your sewing! 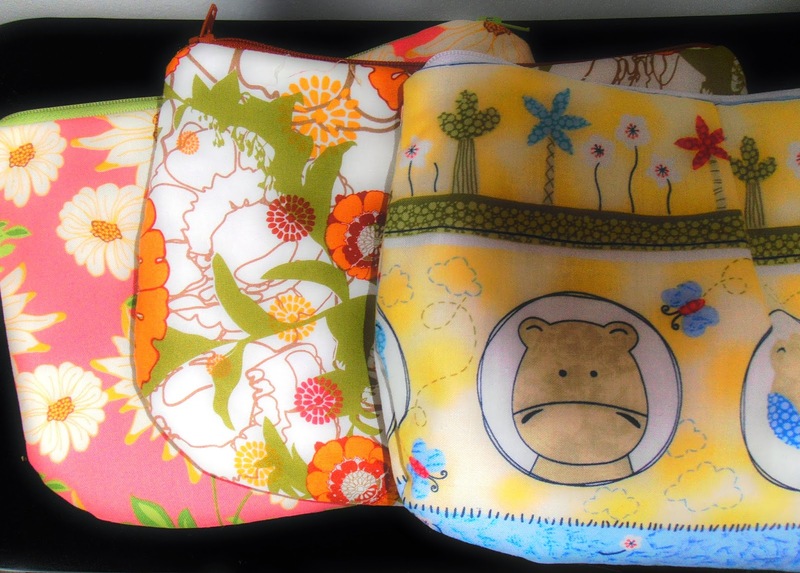 Really cute pouches, I especially love the yellow one with the cute faces. I always try to use fabric bags for shopping too, environmentally friendly and a lot prettier too.